The IQAir HealthPro Plus is the best home air purifier on the market, full stop. But although it’s worth every penny, this unit will leave your wallet feeling a bit light. That was my reaction to the IQAir HealthPro Plus; first to the price tag, then to the device’s performance. 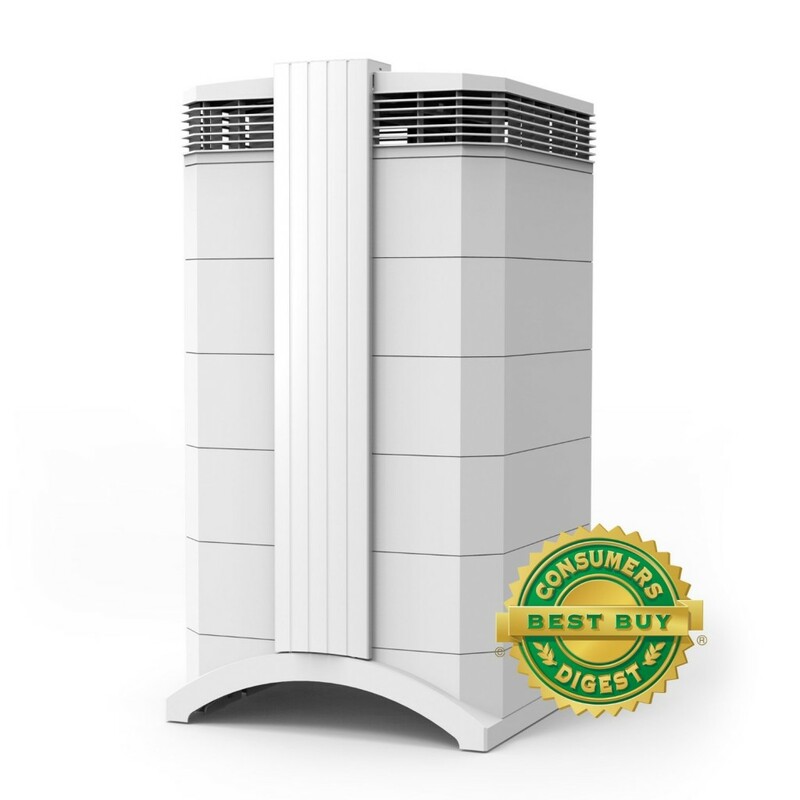 Yes, this is one of the most expensive air purifiers on the market. It’s also the best. And it’s worth every penny, assuming you are looking for a heavy-duty unit that can take care of multiple rooms in your home. Straight away, I want to address something important regarding this unit: practicality. The truth is, not every consumer needs an air purifier this powerful and effective. 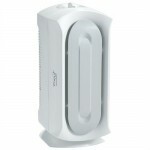 If you are looking for an air purifier for your small-medium bedroom, there are a number of great units out there. The IQAir HealthPro Plus isn’t one of them; it’s just not practical for your needs. Likewise, if you’re just looking to get rid of the occasional wet dog smell, you’d be better off looking at smaller air purifiers instead of breaking the bank. But if you’re serious about pure air – maybe you have a respiratory issue, a serious allergy, or some other extenuating circumstance (or maybe you just put your health at a premium) – then keep reading, because the HealthPro Plus is the holy grail of home air purifiers. The HealthPro Plus’ performance lives up to its price tag, and then some. 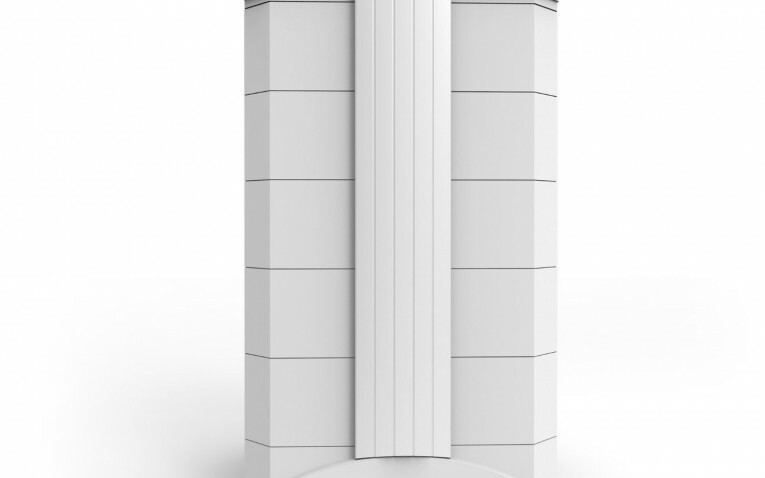 Germany’s Stiftung Warentest – a well-respected product testing foundation – rated this unit as the best air purifier for allergies that currently exists. Indeed, the HealthPro Plus has no shortage of endorsements: Consumer’s Digest has honored the unit with its “best buy” award in the past; Newsweek Magazine wrote about the unit’s proficiency at dealing with mold, and the HealthPro Plus is frequently used on the TV show Extreme Makeover: Home Edition. Let’s talk specifics. This is a HEPA device, so it is 99.97% efficient with particles at 0.3 microns; but further tests have confirmed the HealthPro Plus to be 99.5 percent efficient at particles sized 0.003 microns or larger – a truly remarkable purification feat. The HealthPro Plus is so effective that dozens of consumers have reported that their air and allergy issues disappeared overnight. The unit has a coverage area of 900 square feet, so it can handle the absolute largest rooms; additionally, one unit can likely handle purification duties for your whole apartment, or even home, depending on size. The unit’s specialty is allergies, but it has been proven to handle mold, smoke and odors with equal prowess. 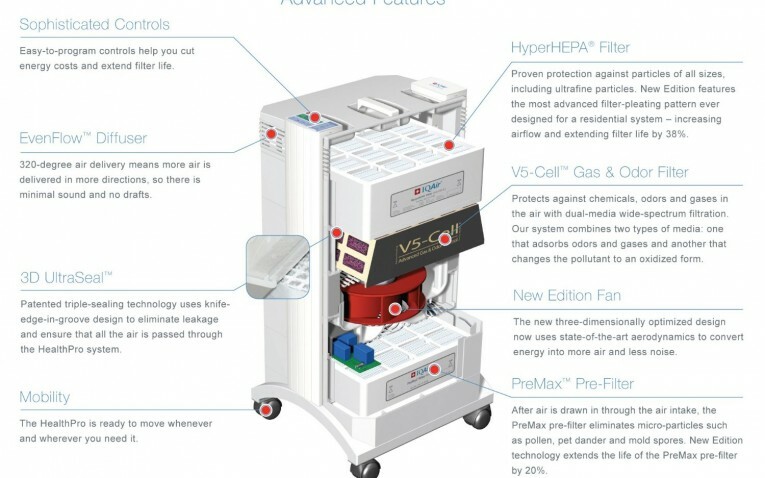 It does this with a V-5 Cell filter, while the HEPA filter handles allergens. Additionally, the unit uses a pre-filter to take care of larger stuff like hair and dust. The device is fairly big – 16 x 15 x 28 inch dimensions and 35 pounds – but it’s not the end of the world. 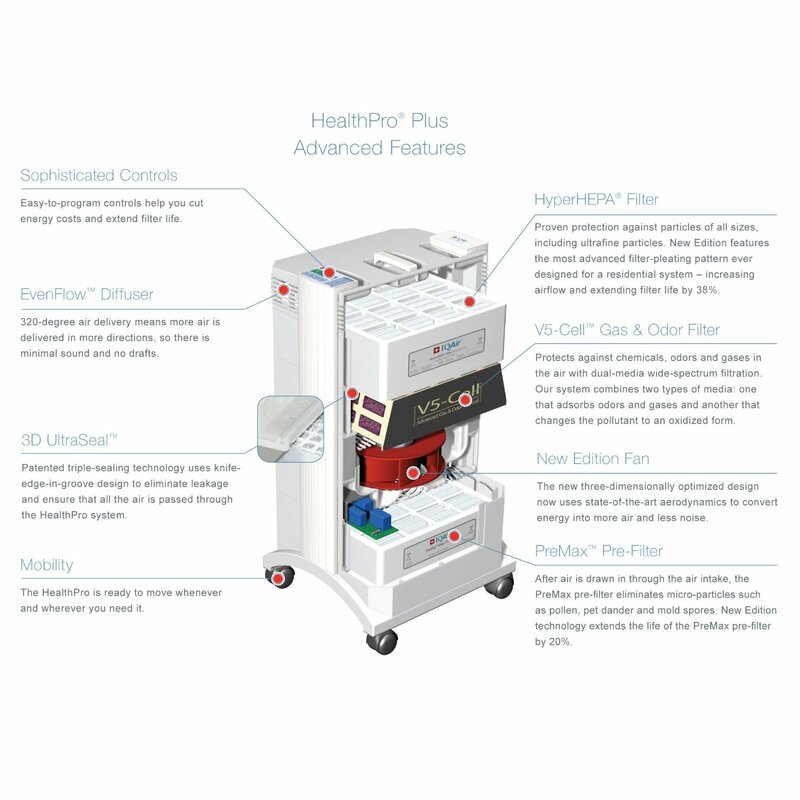 The HealthPro Plus is mounted on wheels, which makes it easy to transport the unit between rooms. The design is fairly neutral, but still sleek and pleasing – the soft-white color lets the unit blend into the background of any room. As you can see, the device is fairly efficient on lower settings; on the higher settings, this unit will really start to use some electricity. Of course, you have to consider factors other than watts, here. How much area is the device covering? How hard is it working? On it’s highest setting, the device is drawing 230 watts, but covering 1000 square feet and working very hard. What’s the alternative? Running three separate air purifiers in three rooms – a venture that will certainly draw around 300 watts (or more). As you can see, the HealthPro Plus is moderately energy efficient relative to performance. 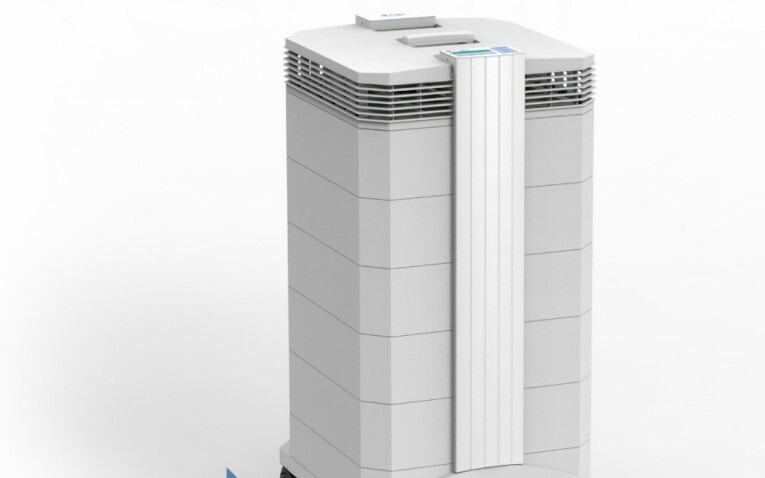 All in all, this is a device for people who are serious about clean air – particularly people who’s respiratory or allergy issues demand a heavy-duty air purifier, or people who simply like to pay a high price for quality. 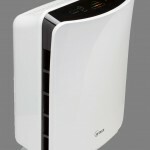 The IQAir HealthPro Plus is the best home air purifier on the market, full stop. But although it’s worth every penny, this unit will leave your wallet feeling a bit light.